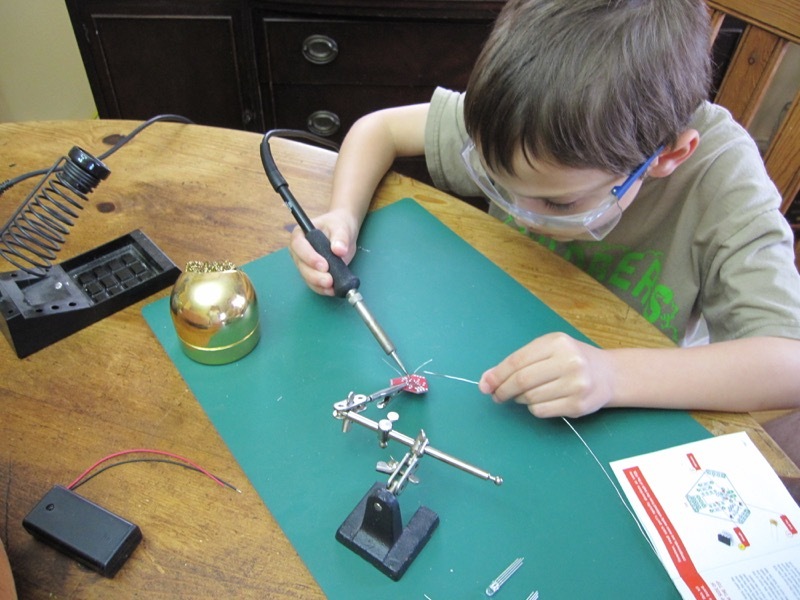 After Cameron trying out soldering at Maker Faire in September, Carter decided he’d like to give it a go too. 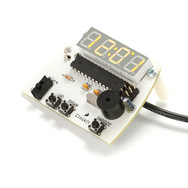 Cameron was also keen to make another kit, so I picked up he ClockIt for her and the Lectro Candle Kit for him. 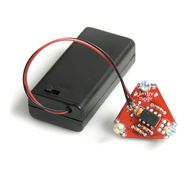 Both of them soldered really well — at least as good as me (not that that would be hard) — and both their kits worked first time. I was particularly impressed with Carter while he soldered the ATtiny95 onto the board: he seemed to know when to clean the tip, when to apply a little dab of extra solder and so on, all without me needing to provide much in the way of guidance.